U.S. Ambassador to the United Nations Nikki Haley has resigned her high-profile post within President Donald Trump’s cabinet. She will be leaving the job at the end of the year. 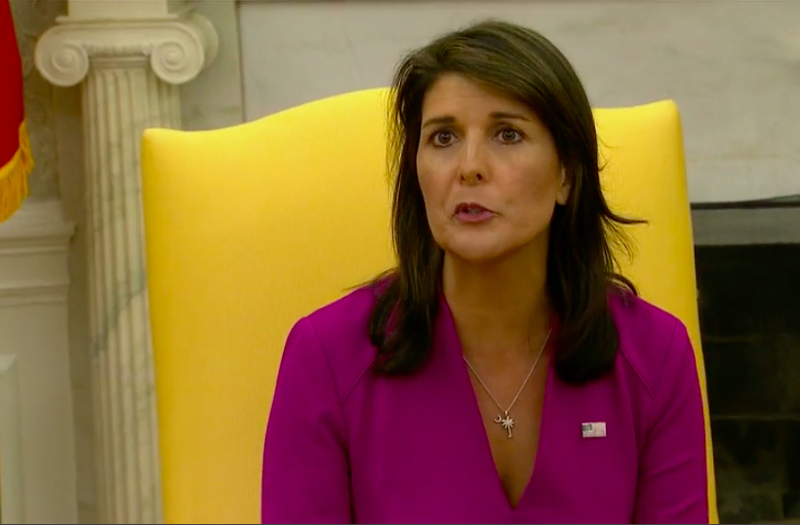 Haley’s resignation comes as a surprise, though she said she “believes in term limits.” Haley, the former governor of South Carolina, was swiftly confirmed to the post four days after Trump’s inauguration in 2017. In September, the outgoing ambassador penned an op-ed, in which she criticized The New York Times for publishing an anonymous column written by someone within the White House and critical of Trump’s administration. Despite some disagreements in the past, Haley has had a decent working relationship with the president.